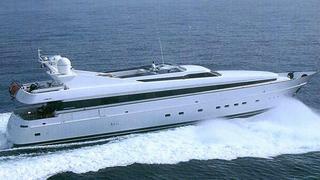 Oceanstyle by Burgess reports that the Athens office has signed the 38m motor yacht Vera for sale. Built in 1996 by Cantieri di Pisa as one of the yard's Akhir 125 series, Vera has been fully maintained by her owner since delivery. Accommodation is for eight guests in four staterooms including a full-beam master suite and twin 3,050hp Deutz engines give a cruising speed of 23 knots. Lying in Greece, Vera is asking €2.95 million.